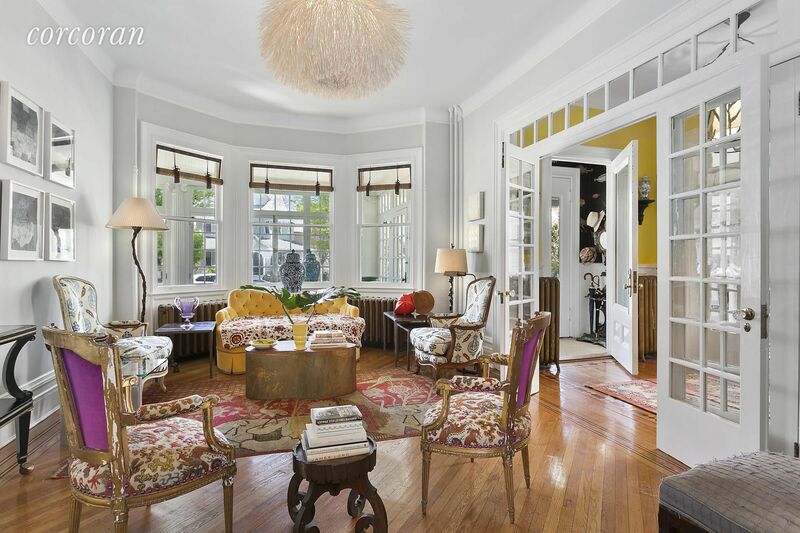 Ditmas Park Jewel! 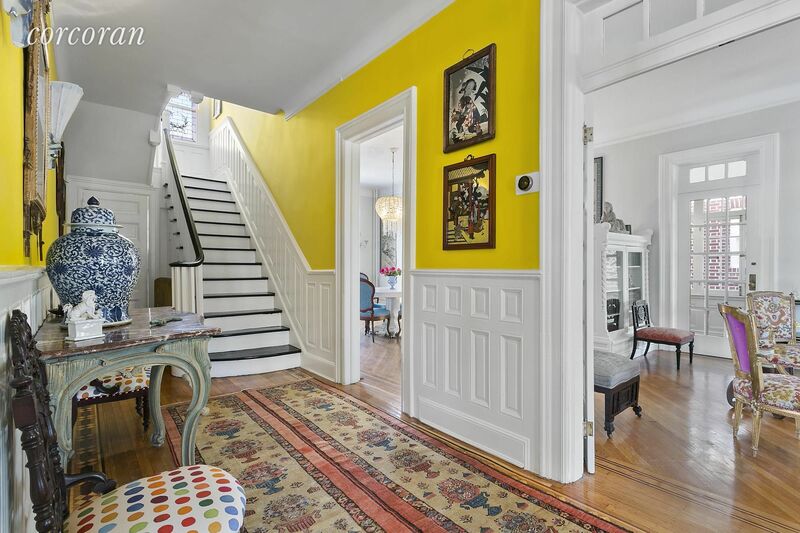 Perfectly situated in the middle of the most coveted block in the Historic District, 485 East 17th Street is one of the most beautiful homes this enchanting neighborhood has to offer. 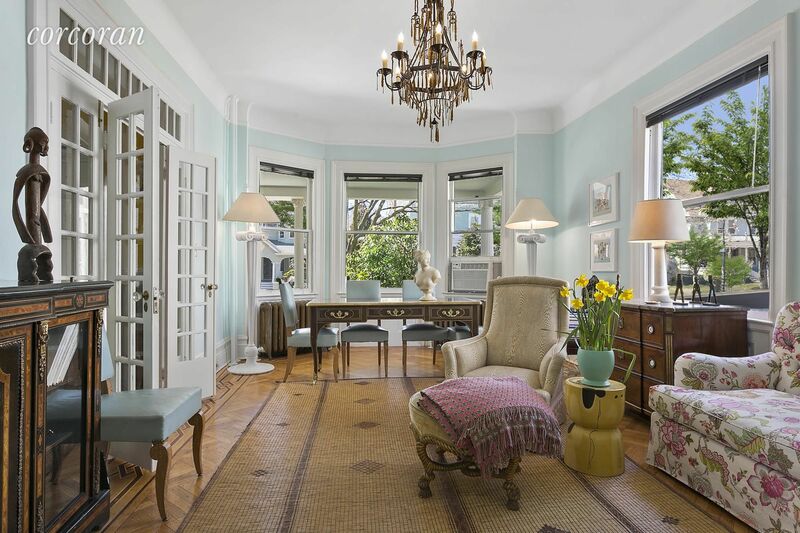 Enhanced by editorial worthy interior design, the gracious proportions and lovingly restored original detail of this bright and airy six bedroom, four full and two half bath Victorian, combine seamlessly with sophisticated, modern updates. 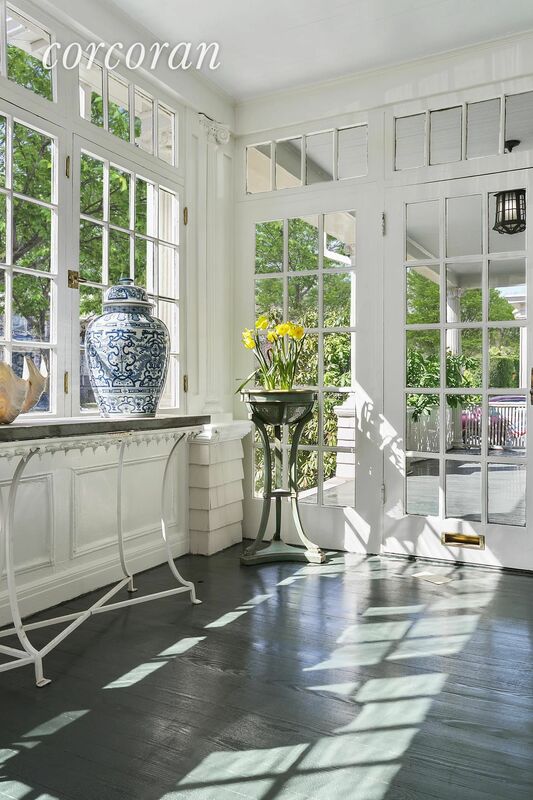 Examples of the architectural beauty include Intricate parquet floors with a variety of patterned borders, stained glass windows, some of the neighborhoods finest millwork including wainscoting, charming built-ins and the dramatic staircase with a curving handrail, and the elegant French doors and windows that repeat throughout, filling the house with amazing natural light. 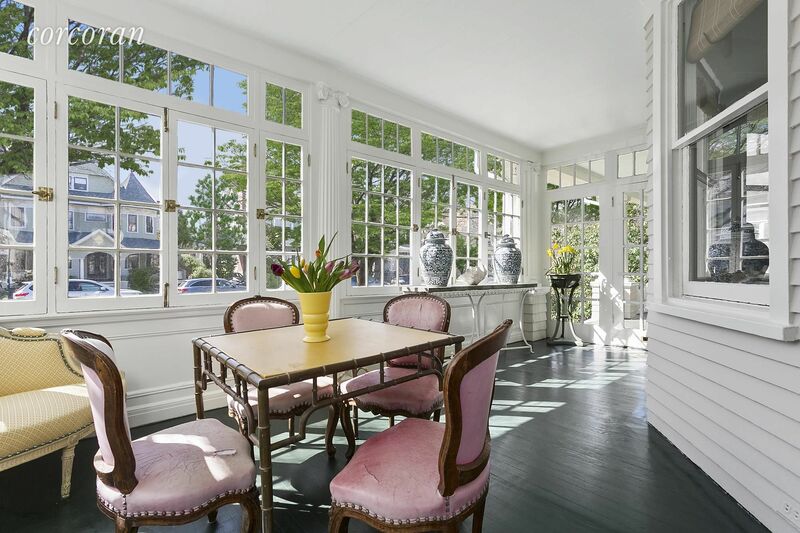 The ingenious plan of the Parlor level begins with an inviting entry foyer flanked by two ample living rooms; one of which is a sprawling, open living/dining room with a side door leading to an expansive and sunny enclosed front porch, and the other that leads to the fabulous chefs kitchen. Designer kitchen finishes include custom painted wood cabinetry with Verre Eglomise glass, luxe, black Schist countertops, marble tile backsplash, a four burner Bertazzoni range and Bosch dishwasher and refrigerator. 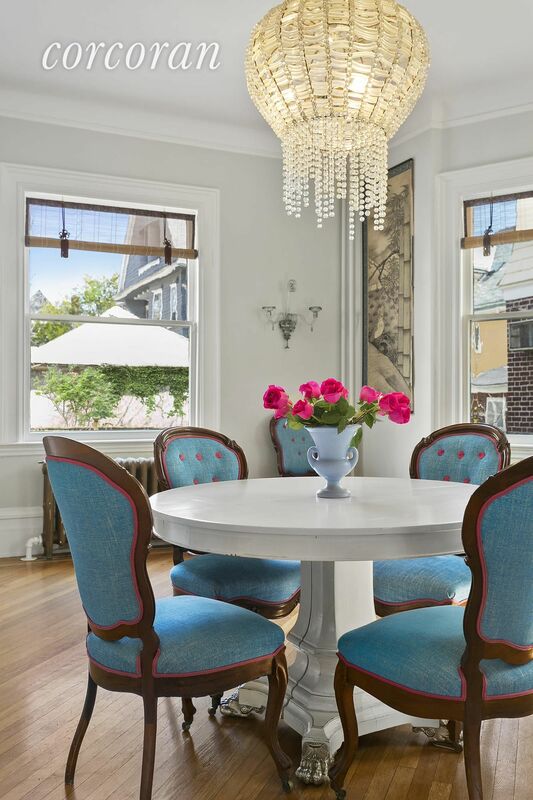 Off of the kitchen is a charming, newly renovated powder room with the original built-ins and a door leading to another enclosed back porch and the beautifully symmetrical Jardin la Franaise complete with manicured hedges and statuary. On the second floor are four large bedrooms, two of which have baths ensuite , a third full bath and the restored marble shaving sink and mirrors. On the third floor are two additional bedrooms, another full bath and a large attic storage room. The basement has excellent storage space, the laundry room with the original soapstone sinks and a huge bonus rec room with terrazzo floors and a vintage pool table! The generous 55 x 100 lot includes a driveway and one car garage. 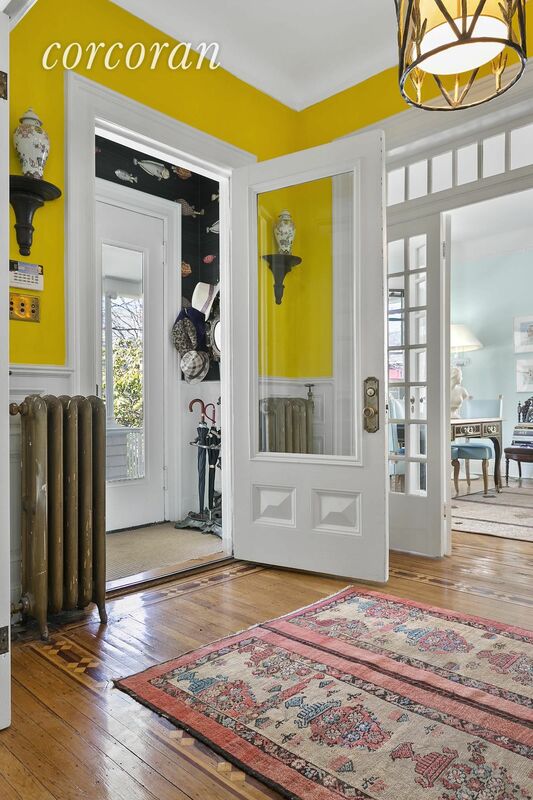 All of this just two block to the shopping and restaurants of Cortelyou Road and Newkirk Plaza and the B & Q trains to Manhattan. 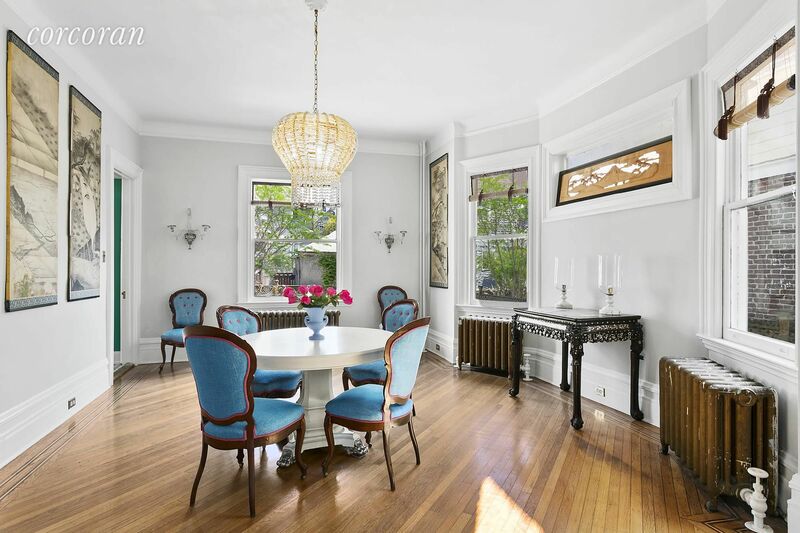 This week, our look back at four of our featured listings from six months ago centers on homes in Bed Stuy, Park Slope and Ditmas Park. 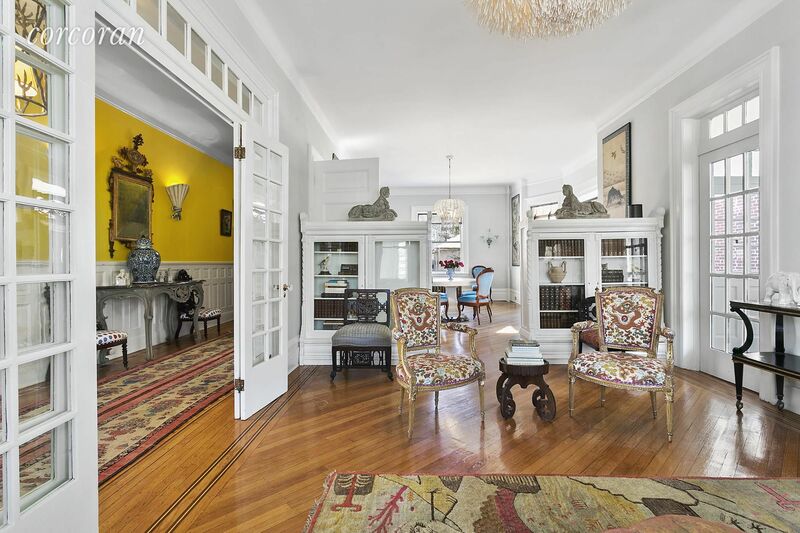 The most popular listings on Brownstoner this week include an Italianate with views of the Brooklyn Heights Promenade, a Fort Greene brownstone with an atrium and a corner house with a garage in Prospect Lefferts Gardens. 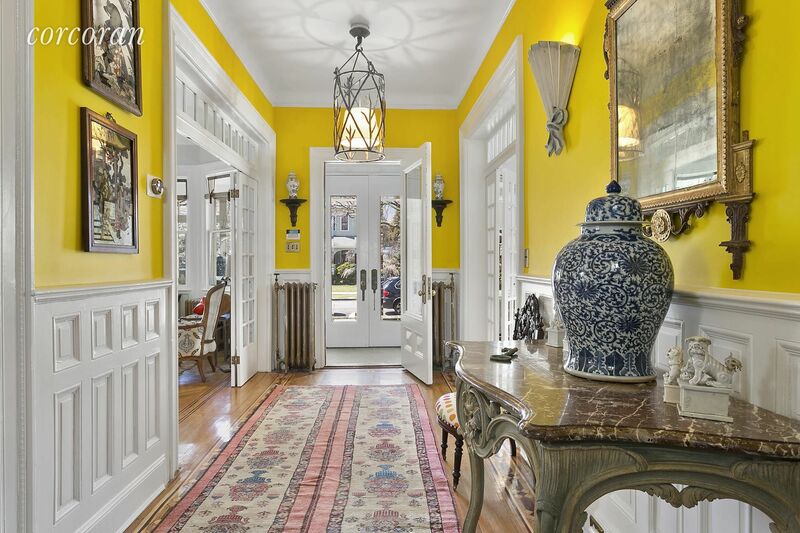 This weekend’s open house picks have three garages, a heated swimming pool and a number of original details between them.